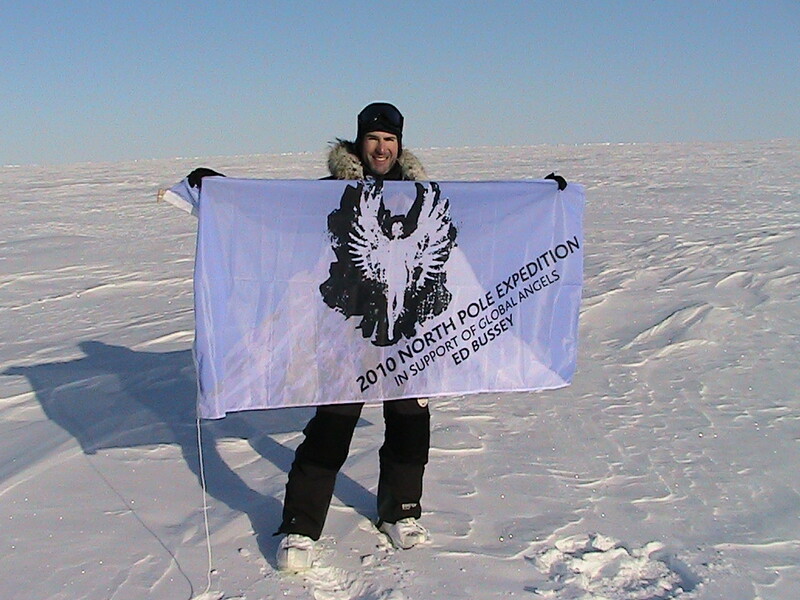 In May 2010, Ed Bussey completed his trek to the North Pole in aid of Global Angels. Co-founder of figleaves.com, Ed completed his four week self-supported trek to the North Pole while raising nearly £10,000 for Global Angels! Ed chose to support orphans in Sierra Leone and a project enabling terminally ill children and their families to enjoy a holiday with their loved ones. Ed took on the tough challenge with the knowledge that less people have managed to complete the trek to the North Pole than have climbed Mt Everest! The recent birth of his new baby girl Thalia and thought of his wife Dilek spurred him on through avoiding attacks from Polar Bears and extinguishing a near fatal tent fire! We’re really proud of Ed and his achievements for Global Angels.